EXCAVATING HISTORY is an artist collective that creates exhibitions, publications, installations, and educational projects that link historical narratives to contemporary life. 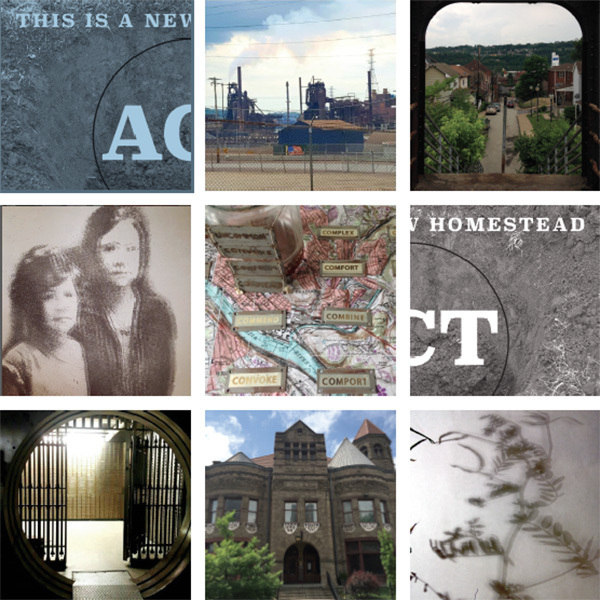 This August, Excavating History artists presented projects throughout Braddock, PA. The locations for their works included the historic bank building now occupied by Heritage Community Initiatives, the first Carnegie library, vacant lots, evolving green spaces, and a former convent. In addition, a series of linked workshops were conducted with area youth that resulted in hand-bound books that reflect the youth’s explorations of Braddock history and architecture. In October, Present Tense will be exhibited in Chicago at the Chicago Art Department. This show will highlight the similarities between these 2 industrial cities and share the arwork made throughout the 2 years of research and art making that took place in Braddock from 2014-2016. Our shared histories leave traces throughout our architecture, landscape and language, and shape our culture. Excavating History artists engage these narratives as an inspiration for artmaking and, importantly, as a platform for all of us to imagine new futures. Christine Bespalec-Davis is the lead organizer of Present Tense. She is a Chicago based artist whose work integrates historical and personal meaning into sculptural and installation-based works. Christine is the Programs Manager at the National Veterans Art Museum in Chicago and is a faculty member of the sculpture department at the School of the Art Institute of Chicago. 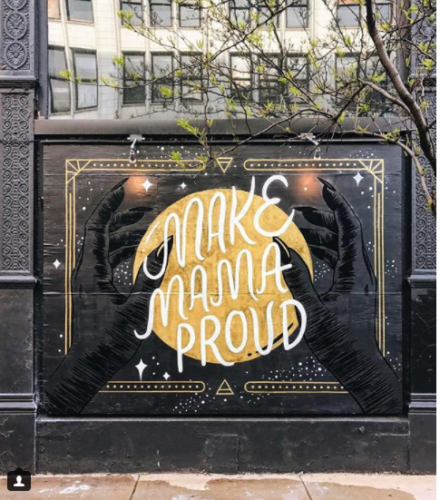 Recent works include projects at the Jane Addams Hull House Museum and curatorial work as well as sculptural installation at Beauty and Brawn Gallery in Chicago. She was chosen for Curator’s Choice at the Pilsen East Artists Open House in 2008 and exhibited for 10 years at the Around the Coyote festival in Wicker Park. Christine’s current work is exploring her cultural ancestry within the contemporary American landscape. Rebecca Keller teaches at the School of the Art Institute of Chicago, and is the founder of Excavating History. She has created these research-driven projects in historic sites and landscapes throughout the US and Europe. Her awards include two Fulbrights, an American Association of Museums International Fellowship and grants from the National Endowment for the Arts and Illinois Arts Council. Exhibits include the Museum of Contemporary Art in Chicago; the International Waldkunst Biennial; Portland Art Museum and many others. A book about her projects: Excavating History; When Artists Take on Historic Sites was published by Stepsister press. Her writing has received the Betty Gabehart prize, a Pushcart Nomination, and was a finalist for the 2013 Chicago Literary Guild Prose Award. Moki Tantoco is an educator and artist based in Chicago, IL. She graduated with a BFA in art education from the School of the Art Institute of Chicago. Active in community based education programming throughout Chicago, she encourages exploring socially engaged art practices through interdisciplinary means in public art, performance, installation, and bookbinding. Liene Bosquê has exhibited her work internationally at museums, non-profit galleries and public spaces in Brazil, Portugal, Turkey and United States. Recently she was an artist resident at Workspace Lower Manhattan Cultural Council (LMCC) and participated in NYFA Mentoring Program for Immigrant Artists in NYC, and exhibited at PS1. Amber Ginsburg teaches in the Department of Visual Arts at the University of Chicago and creates projects that insert historical scenarios into present day situations.. She works in collaboration with other artists, but also with people who are experts through their lived experience. Her research-based practice employs her roles as an artist, social scientist, and curator. Exhibitions include Luther College Gallery, Indiana University Northwest, Lawrence Art Center, Lawrence KA. Roman Susan Gallery, Chicago, IL and many others. Katie Hargrave is a professor at the University of Tennessee Chattanooga. She received her MFA in Intermedia from the University of Iowa, MA from Brandeis University, and BFA from the University of Illinois. Her work has been shown at DIY spaces, university galleries, non-profits, and festivals. She is a member of the collaborative groups “The Think Tank that has yet to be named” and “Like Riding a Bicycle.” Her work is responsive to environments, develops over time, and is co-created with participants as well as collaborators. For information about this exhibition or to schedule an appointment to see the work, please email Christine Bespalec-Davis at cbespadavis@gmail.com.